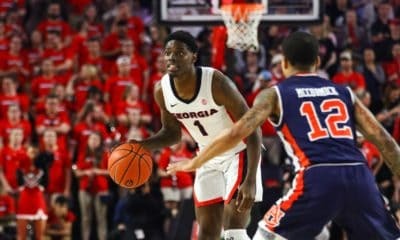 ATHENS, Ga. – Georgia stood at the threshold of a significant road victory early in this SEC season, having caught homestanding LSU in regulation and forged ahead with a 9-point lead in overtime. 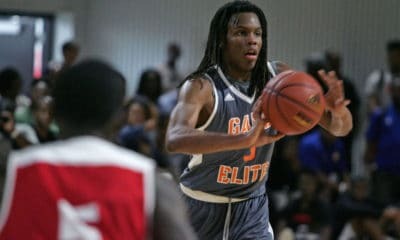 Key Georgia errors, however, combined with nine of LSU guard Tim Quarterman’s 27 points, enabled the Tigers to force a second extra period, where they made just enough plays to survive an 87-84 victory over the Bulldogs here at Maravich Assembly Center on Saturday night. Georgia fell to 9-5 overall, 0-2 in SEC play. The Tigers improved to 12-3 overall, 1-1 in the SEC. Things looked bleak for Georgia when Jarrell Martin’s jumper with 7:11 left in regulation pushed LSU ahead by its largest margin at 64-56. The Bulldogs then proceeded to score seven straight points, the last a Cameron Forte layup at the 3:44 mark, to get back into contention. The Bulldogs capped their late surge when Marcus Thornton rebounded and scored with just one second left, knotting the score at 67. They carried that momentum into the first extra period, scoring on their first possession on a Thornton layup. 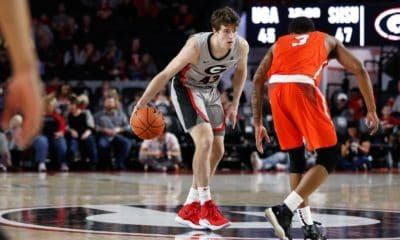 Georgia took firm control of the overtime period by making eight consecutive foul shots. The latter pair by J.J. Frazier boosted the Bulldog lead to 77-68 with 2:21 left. Quarterman answered with a 3-pointer 13 seconds later. 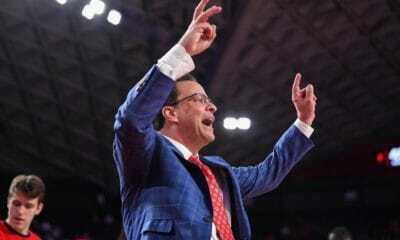 His second trey, however, came with just 39 seconds left and pulled LSU within a single possession at 80-77. The Tigers then capitalized on two Charles Mann misses at the foul line, getting a tying 3-point play from Josh Gray with just 18 seconds left. LSU took the lead for good at 83-82 in the second extra period on a pair of Jalyn Patterson free throws with 4:04 left. Georgia, with starters Kenny Gaines and Nemi Djurisic having fouled out earlier, struggled to score. After the Tigers forged ahead, the Bulldogs managed only a free throw each from Yante Maten and Thornton. The latter, coming with 1:22 remaining, cut Georgia’s deficit to 86-84. Despite an LSU turnover on its next possession, the Bulldogs were unable to get closer. Georgia hits the road again for its mid-week SEC game, taking on Vanderbilt on Wednesday night in another 9:00 p.m. (EST) tipoff. • Georgia played its second multi-overtime game of the season, the first being its 3OT win at home over Mercer on Dec. 27. • Reserves Cameron Forte (24 minutes) and Yante Maten (28) got career-high playing time. • Marcus Thornton’s 16 rebounds were a career high, three better than his previous best. 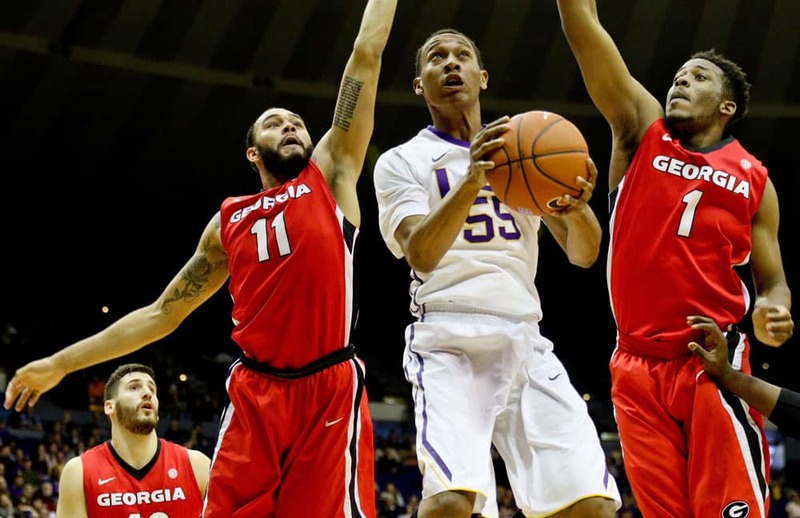 • The Bulldogs’ 20 turnovers were a season high, as were LSU’s 13 steals a season high by a UGA opponent. • The Tigers also set season highs by a UGA opponent in 3-pointers made (11), assists (19) and blocks (10).